You’ll never be happier to be in a bad mood. Swimming Tigress Music is pleased to announce the arrival of…. 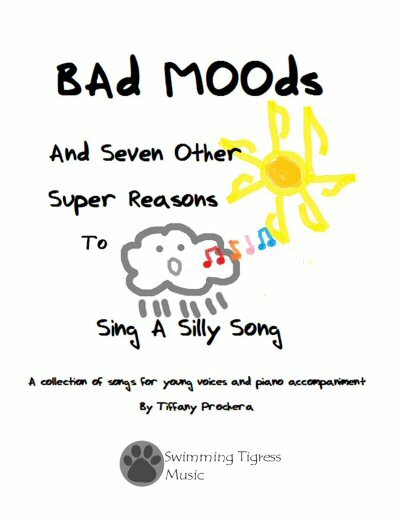 Bad Moods and Seven Other Super Reasons to Sing A Silly Song! 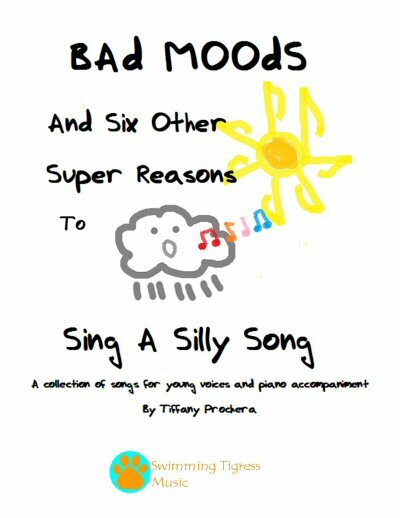 Bad Moods is Tiffany Prochera’s first collection of songs for young singers. 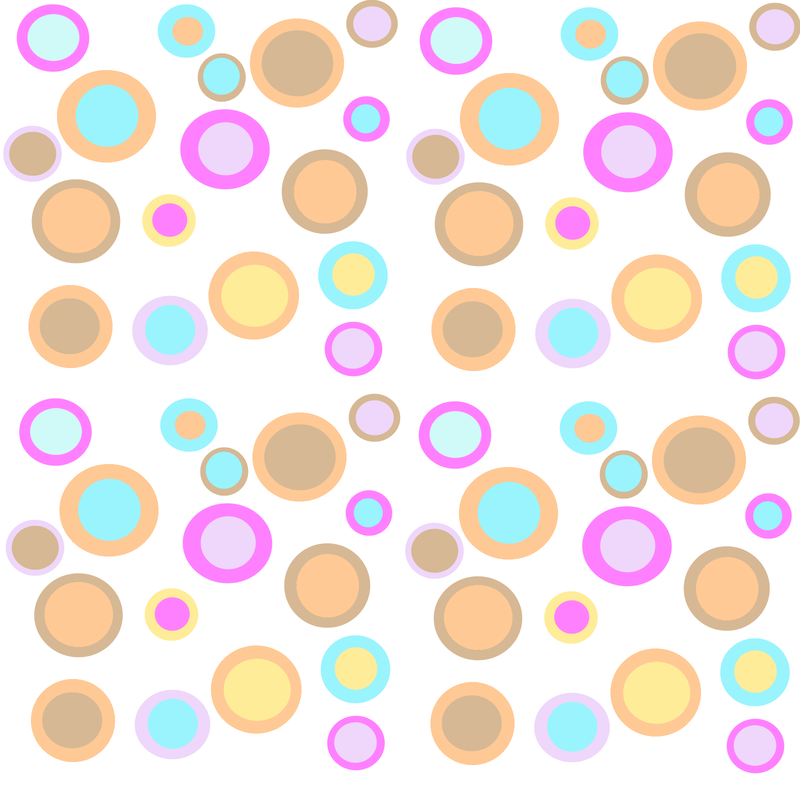 These eight little ditties are sure to be fun for teachers and students alike. While the hard copies are still at the printers, the digital download is available as of today! 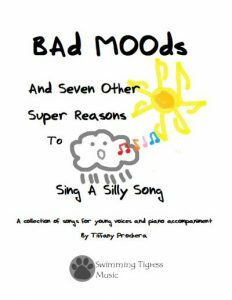 Visit the Bad Moods page on the Swimming Tigress Music website to learn more about the book, listen to audio clips of the songs, view samples of the score. Then you can download your very own copy right away! Coming Soon – A New Collection of Songs for Young Singers! Bad Moods is filled with ditties about crazy science teachers, singing for imaginary friends, and a love of the colour purple, all with words and music by Tiffany Prochera. Our anticipated release date is the end of October so we’ll let you know when it’s out! Swimming Tigress Music is pleased to announce the arrival of two new Songs for Young Singers, available for download. Bad Day is a song about a child who is determined to be in a really bad mood but a tickle from Mom makes everything better. Candy Jar is a song about wondering what the little boy painted on a candy jar is smiling about. The Mona Lisa of our time! If you are seeking a composer, songs or voice talent for your media project, it would be my pleasure to assist you! Contact me at info@swimmingtigress.com or give me a call at 1-204-261-7569 for more information. Don't forget to check out the STM store at Shopify and browse the catalog of sheet music and books! Keep up with all the goodness at STM by following us on social media!